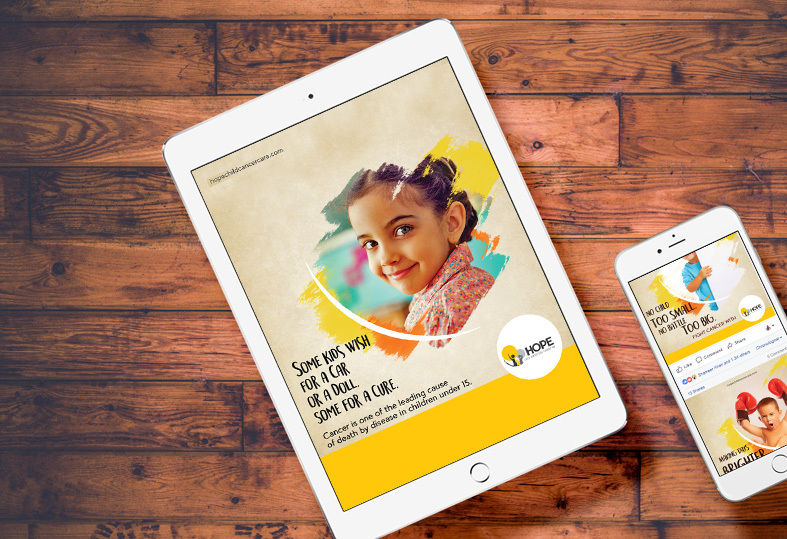 Hope is an NGO that aims to support families affected by pediatric cancer through Medical, Sociological and Financial assistance. 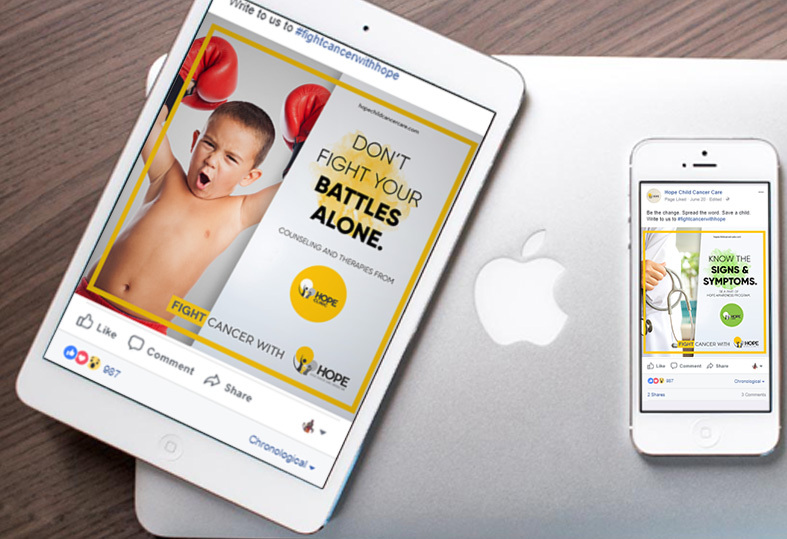 Cancer is a very difficult subject to talk about especially when it affects children and when a genuine brand attempts to do honest work its communication has to reflect that. 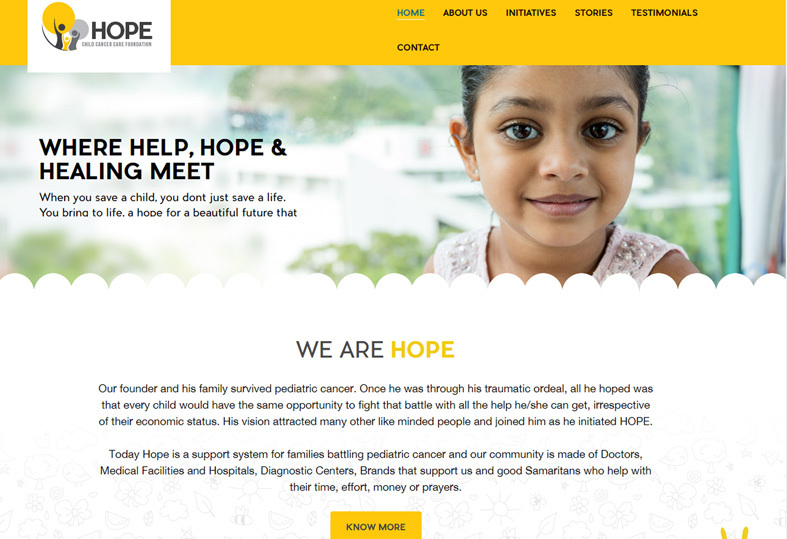 The Hope communication is mostly social because it was important to build awareness and involvement. The imagery and content is rooted in positivity and the possibility of survival. The communication stands apart from other brand simply because it does not cause fear, it only uplifts, just like the brand.